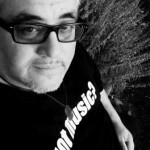 Frank Carbone is a Singer/Songwriter/Producer. A Continuum teacher with over 10 years of intense study with Continuum founder Emilie Conrad, Frank is also a Gyrotonic Practitioner in Ojai, California. He studied in Germany with its creator Juliu Horvath. In addition, he is a Sivananda Yoga teacher, Reiki Practitioner, and a Pre- and Perinatal Therapist in training with Dr.Raymond Castellino.